I have been training Brazilian Jiu Jitsu (BJJ) for the last three months. Actually, I have always wanted to learn about this one ground fighting technique, but because of my busy schedule as a journalist and also the limited training facilities, I could only got the chance to really learn BJJ recently. 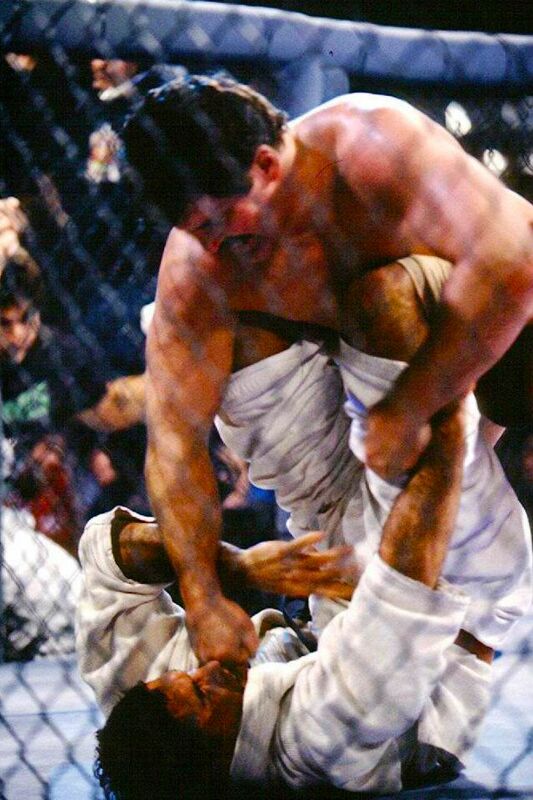 I knew BJJ for the first time when a television station in the early 2000s re-broadcasted the first Ultimate Fighting Champion (UFC) event, which was won by Royce Gracie, a BJJ practitioner. At the time I was amazed to see how the skinny and very average-built Royce could defeat far more muscular and large opponents with his ground fighting technique, which, in my opinion, was very interesting. I was even more interested when I saw how Royce could defeat a wrestler, whose body was significantly bigger, with a submission technique, which at that time I considered strange because Royce’s position was at the bottom while his opponent was on top. After I learned BJJ through references on the internet at that time, I found out that Royce uses the triangle choke technique and this technique allows us to strangle our opponents even though our position is at the bottom. Therefore, one of the main reasons for me to learn BJJ as a martial art is because it has been battle tested and its effectiveness in real situations, in which our opponents really want to kill us, has been proven. Unfortunately, in early 2000s when I was still in college, there was not a single BJJ gym in Indonesia. 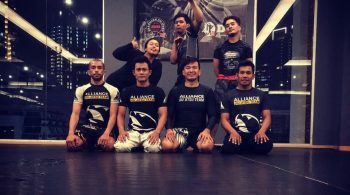 In the mid-2000s, several BJJ gyms began to emerge but they were only available in Jakarta while at that time, I still lived in Bandung. Fast forward to the year 2008, I started a career as a journalist in Jakarta and saw there were a number of BJJ gyms but unfortunately once again, my work did not have definite working hours and I had to travel around the city frequently. Well, it was only this year that I had the opportunity to set aside the right time to study BJJ. 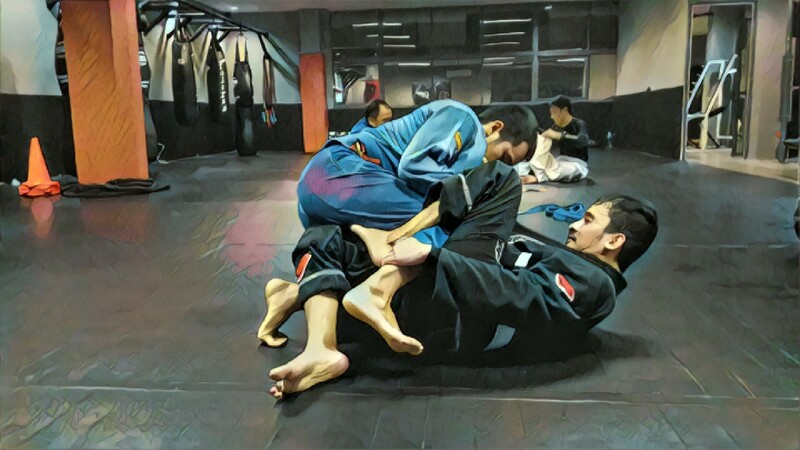 Now, there are quiet plenty BJJ gyms in Jakarta and its surrounding area but not all of them really teaches BJJ. There are some gyms that claim to teach BJJ but apparently the instructor has never studied BJJ and what you learn might be judo or wrestling. The best way to find a real BJJ gyms is to research on the instructor’s competence. Competent instructors are instructors who have really learned BJJ and have a clear lineage of belts. Before you join any BJJ gym, find out about the main instructor first. If he claims to have a black belt, find out his lineage all the way up to Mitsuyo Maeda, the Japanese judoka who brought judo to Brazil and was then developed by Carlos Gracie, Luis Franca and Oswaldo Fadda into becoming what is now known as BJJ. Remember; anyone who claims to be a black belt can easily buy a belt on a shop or online but not everyone can prove he really is a black belt. Even if the main instructor is not yet a black belt, find out who his black belt instructor is. After getting all of the information about the instructor, confirm via the internet whether the claims submitted are true or not. If you are sure that the information obtained is valid, then the BJJ gym that you want to follow is definitely a real one. This the BJJ gym I am currently training at and is suitable for those of you who work in the central Jakarta area. It is located at the Fit by Beat fitness gym in the Setiabudi One building in Rasuna Said, central Jakarta. The main BJJ instructor here is Prof. Deddy Wigraha, a legitimate BJJ black belt. He got his black belt from Romero “Jacare” Cavalcanti, the founder of Alliance Jiu Jitsu. Jacare himself is a black belt under the late Rolls Gracie, the biological son of Carlos and the adopted child Helio. This is the official branch of the Alliance Jiu Jitsu team for Indonesia. The main instructor is also Prof. Deddy. I had the opportunity to train here several times and the mat area is a little bit bigger than the one in Arena MMA. The number of students training at the same time, however, is also larger. This gym is located at the Elite Club Epicentrum, also in Rasuna Said. 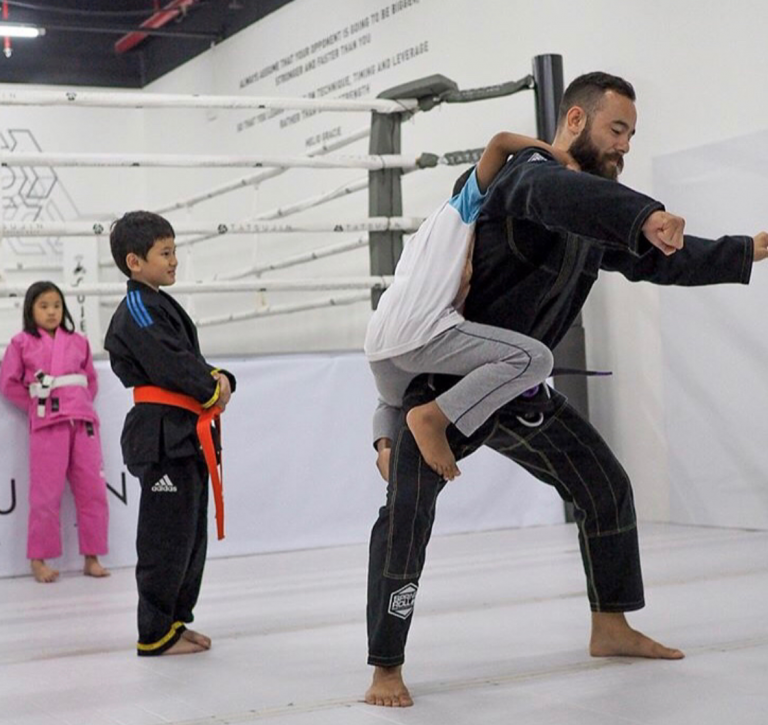 Children’s classes are available here for those who want to introduce BJJ to their kids. Tatsujin is an MMA gym from the Netherlands. The founder is Martijn de Jong and he is a legitimate BJJ black belt under Remco Pardoel, one of the BJJ pioneers in Europe. The Tatsujin Jakarta branch is located at The Dome at South Quarter in the Cilandak area. This place is suitable for those who work in the Lebak Bulus, Pondok Indah, RA Kartini, Fatmawati and surrounding areas. Just like Alliance, this place also provides BJJ classes for children. This gym is located in the Pakubuwono area and it is suitable for those who work around Kebayoran, Gandaria, Radio Dalam, Senayan and maybe Sudirman. BJJ classes at this gym are from Monday to Saturday and unlike other gyms that start after office hours training, there are also morning and day time classes in this gym. 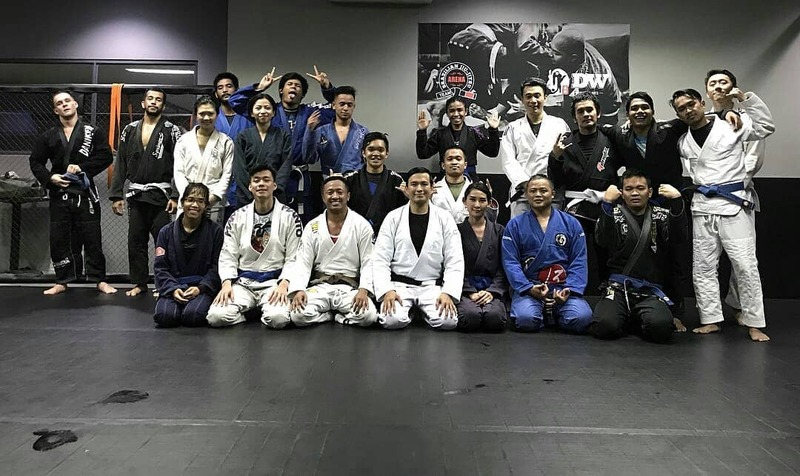 The main instructor at De Been is Pierre Suraputra who had studied BJJ under a lot of black belt professors, including the legendary Rickson Gracie before finally received his black belt from Peter De Been, a black belt from Australia. Pierre’s assistant, Leo Krishna, has also recently got his black belt directly from Peter. Synergy is probably an MMA gym that has the most affiliates in Indonesia today. Its affiliates are located in many regions across the Indonesian archipelago. In Jakarta and its surrounding areas, Synergy has branches starting from North Jakarta to South Tangerang. To find out more about the locations of Synergy gyms, please go to its official website above. Apart from the places above, maybe there are still many BJJ gyms around Jakarta that I might have missed. I don’t know if there are genuine BJJ gyms operating in the Depok, Bogor and Tangerang areas. Let me know in the comments below if you know one.